In the fall of 2014 sisters Natalie and Andrea Pavela were both living in downtown Chicago. Andrea had started teaching yoga in an impromptu fashion at friends’ homes, and they were often seeking out and attending various workshops and events around the city. 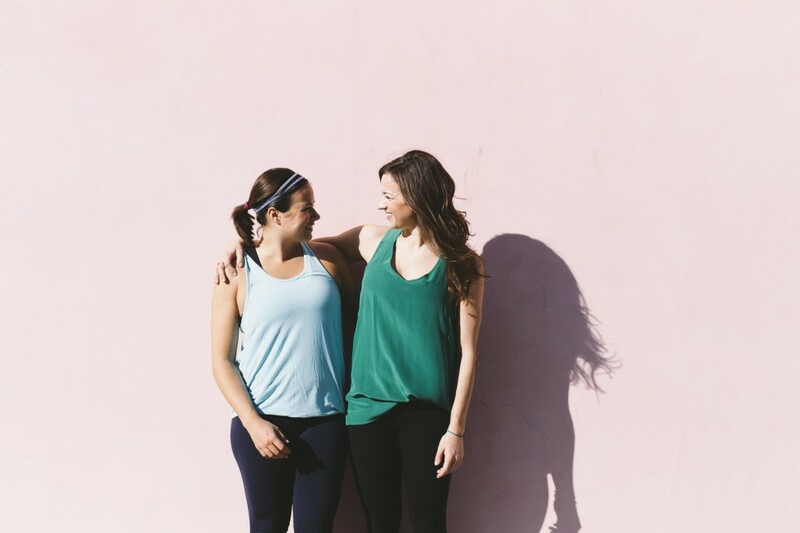 They decided to combine the things they love most and yoga+ was born, pairing their love of yoga with learning something new and connecting with others in a relaxed setting. The collaboration allowed each of their individual strengths and interests to shine through; Andrea teaching unique vinyasa classes, crafting custom playlists, and working behind the scenes on our books, while Natalie tapped into her event planning experience to craft memorable workshop experiences for their guests. Almost every event has been a different activity and they’re constantly dreaming up new ideas. On December 14th they’re hosting a yoga+ makers pop-up event at The Winchester! This will be a fun time to connect with some of their favorite local makers & past Yoga+ partners, sip & nosh on specialty craft cocktails and small bites, and do some Christmas shopping in a relaxed, crowd-free setting. We suggest you sign up now. Here the duo also reveals their most-loved spots in Chicago (it’s a stellar list) and more. How exactly do you pair yoga your events? 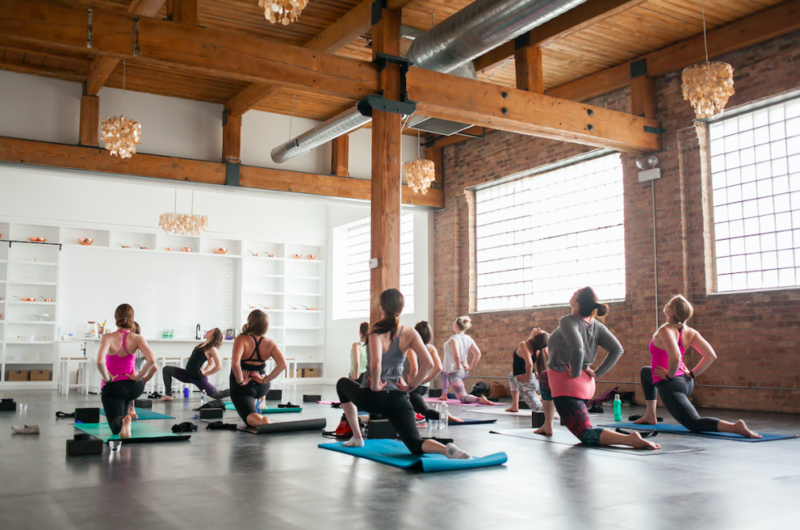 Each event starts off with a vinyasa yoga class, regardless of the post-yoga activity or workshop location. It sets the tone for the rest of the afternoon, builds community, and makes you feel good. After yoga, we transition (often with the help of a cold infused towel, herb & citrus water, and a snack) into an interactive and educational workshop lead by a local yoga+ partner. 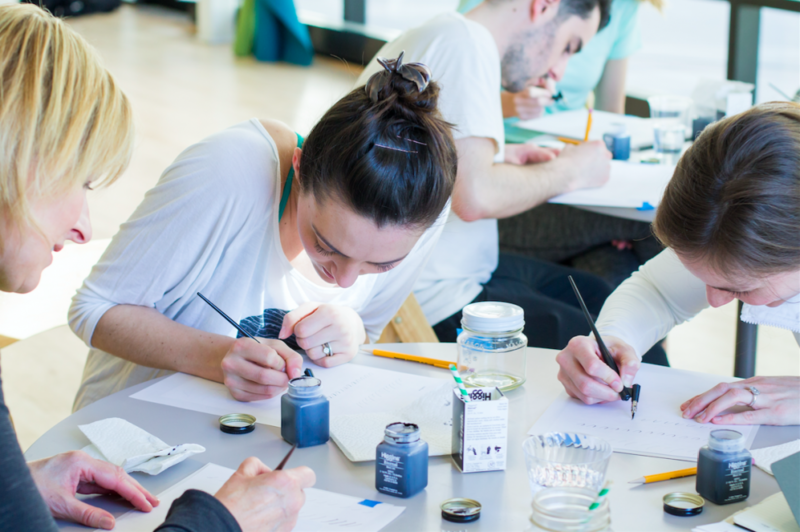 These activities range from creative exercises like calligraphy, watercolors, and floral arranging to wellness inspired fusions like essential oils 101 and juice tasting, to spirited food and beverage collaborations like punch/craft cocktail to French macaroon making lessons. 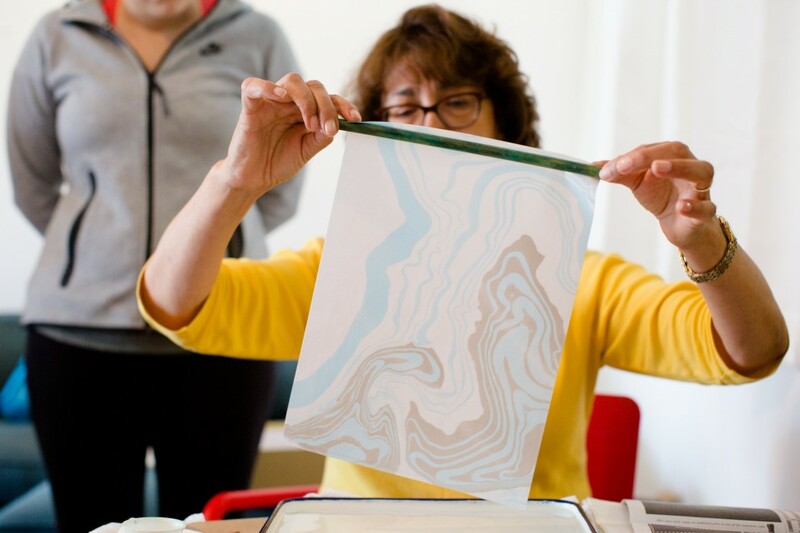 We strive to curate an experience where an intimate group of guests get to make a personal connection to the business owners and makers that make our city so special. Could you share a few hang-out spots around your neighborhood of Wicker Park that you love? 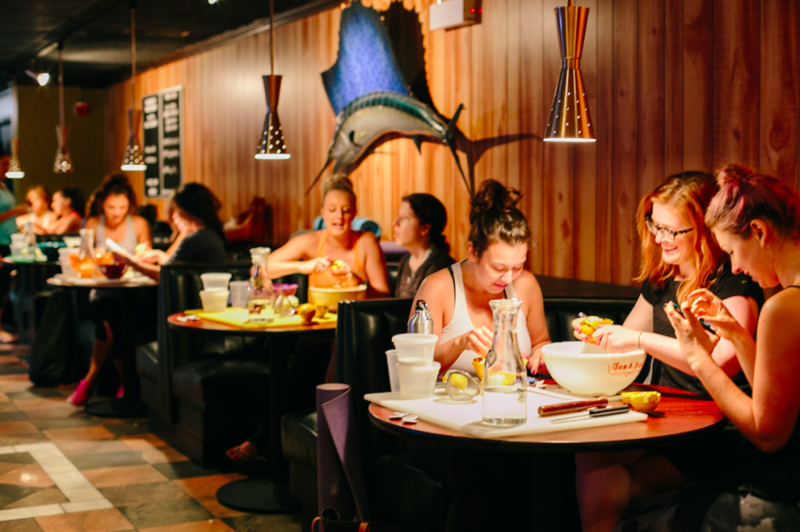 – We’re lucky that Mott St. is one of the closest restaurants to our home. Their selection of beers, sake, and seasonal cocktails never disappoint. A few favorite dishes: the steamed dumplings, everything wings, the Hamachi collar, and burger, when available. 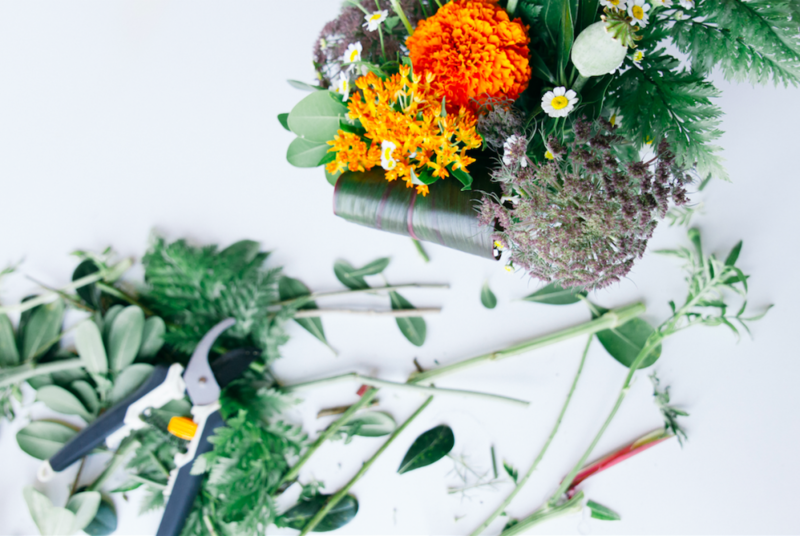 – Asrai Garden is so much more than a flower shop. Every time we walk in there we are tempted by cool succulents and air plants, enticing candles, jewelry and home decor. This is also a great local spot to stock up on some of our favorite Aesop skincare products and Hidden Folk unisex fragrances. – Sportsman’s Club is one of our favorite gathering places for cocktails. Play chess or checkers on one of their wood carved tabletops in the booths, or gather with a larger crowd outside around the fire (one of our favorite patios in the city). Their backyard BBQ series is not to be missed in the summer. – Shinola is a great spot for leather accessories and gifts. We love gifting the linen or paper journal and the Chicago store on Damen Ave. offers free monogramming – a great personal touch! – Caffe Streets is a friendly and welcoming coffee shop on Division Street, brewing exceptional coffees from Metric Coffee Co. Perfect for a quick pit stop or pick-me-up when browsing the shops on Division, or camp out with a bud for a chat in the shop or on their front patio seating. For a non-coffee option, try their iced lavender cream soda. – Local Foods is great recent addition to the neighborhood! Local Foods is a public market showcasing growers in the Midwest. The Butcher & Larder is housed inside the market for your meat needs and Executive Chef Abra Berens cooks up delicious dishes at Stock cafe (we love the blue plate special). They also host educational food-focused events. 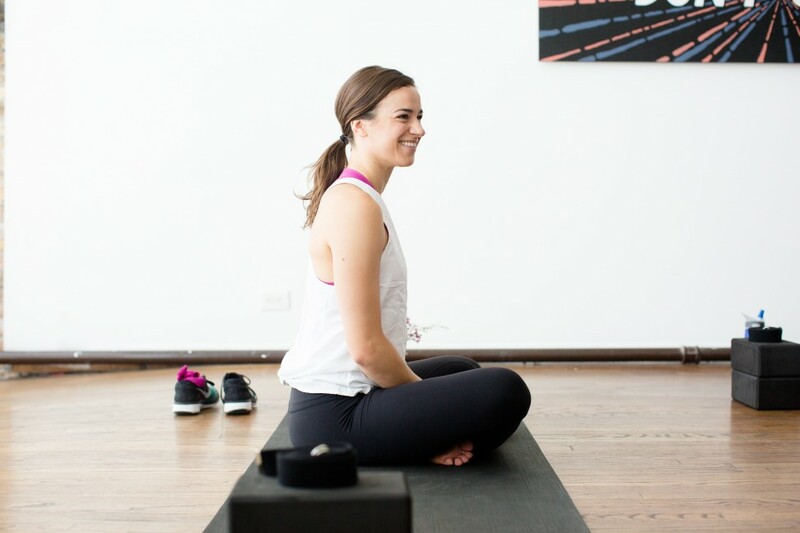 – When Andrea’s not teaching at YogaSix or at one of our events, we also love taking yoga classes at Yogaview and The Lab. – Antique Taco cooks up some amazing tacos. We crave their fish tacos, delicious seasonal margaritas, and unforgettable antique taco salad. What’s been most surprising about starting your own business? 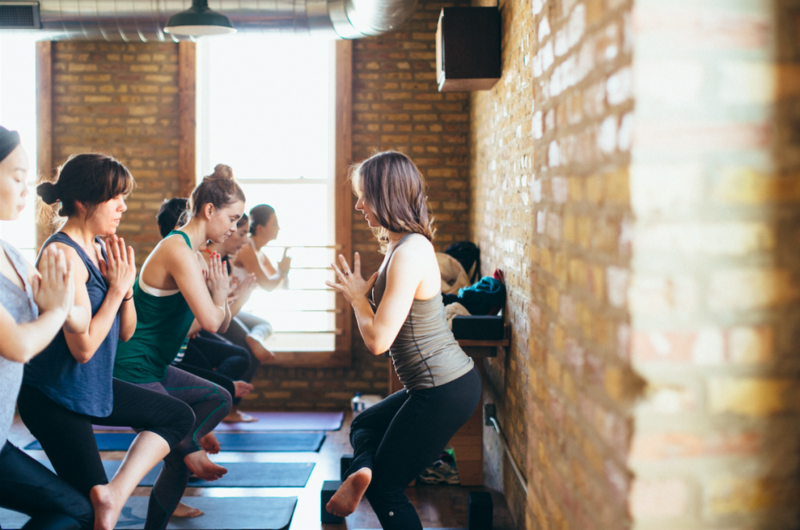 We’ve been so grateful for Chicago’s supportive small businesses community and all the rad boss ladies and gents we’ve connected with through yoga+ over the past year and a half. Yoga+ has also grown our own community of attendees that have become friends and collaborators, which is a beautiful thing. We’re lucky that we get to plan gatherings with people we admire and are excited to learn from, fostering connections and shared experiences with our local favorites.